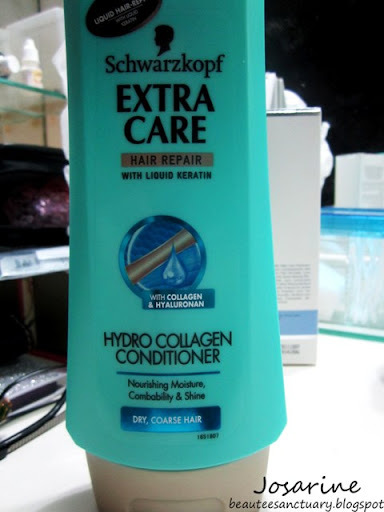 For a period of time I was crazy over Schwarzkopf products because of the Bonacure range. When I saw their products in drug stores I went all crazy! I did not try their shampoos because I've got oily scalp so I can't use shampoo for hair repair and stuff. Contains collagen and hyaluronan. 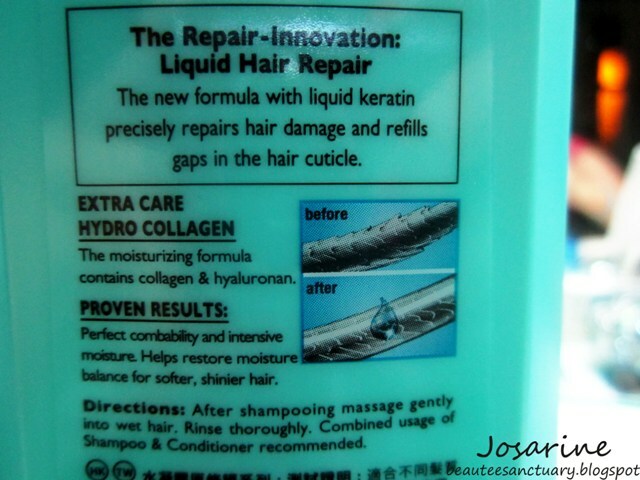 Helps restore moisture balance for softer, shinier hair. The texture of this product is like any other conditioner but thicker than Sunsilk. During application of this product, it felt like I needed to use more than usual to condition my hair. At first I thought maybe because this conditioner is really getting into my hair unlike other conditioners that usually conditions the outside layer only. The texture felt a little waxy to me I believe it's due to the liquid keratin? Maybe? After rinsing, hair does not feel any much smoother, slightly untangled cause I untangled them while using the conditioner. My hair still looked and felt dry. Try using this another time but make sure that you have removed the extra water from your hair. And perhaps when using is, putting on a shower cap helps quite a bit. I did... I squeezed out the water first before apply. I think my hair is just too damaged and need stronger ones.